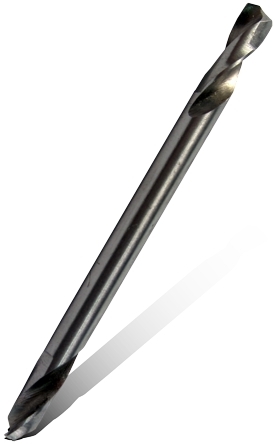 The double end stubby drill bit is made from HSS (hi-speed steel) and is precision fully ground at 135° with a split point. The split point adds 2 extra cutting edges with the adantage of reducing the amount of pressure required to perform the cut. The sturdy double end allows for twice the usage making the drill bit more economical and practical. Ideal for autobody repair work.